Glass as an artistic medium has existed for many years in Australia, just as glass artists display great versatility and richness of expression. These stunning contemporary pieces are sublime in color and form. Artists represented include Klaus Moje, Giselle Courtney, Judi Elliott, Brian Hirst, Gerry King, Rob Knottenbelt, Warren Langley, Gillian Mann, Nick Mount, Ian Mowbray, Kirstie Rea, Meza Rijsdijk, Stephen Skillitzi, Graham Stone, Velta Anna Vilonanis, Klaus Zimmer. Illustrations: 129 Color Illustrations. 19 B&W Illustrations. What a stunning collection of 20th-century glass art, sure to dazzle collectors, artists, and layman alike. 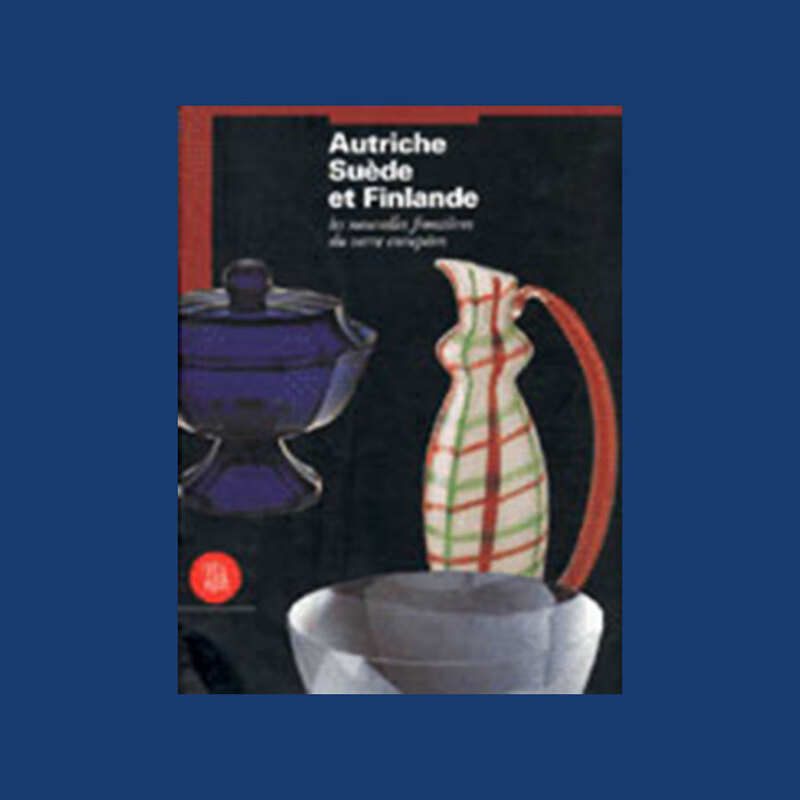 Chapters: Wiener Werkstätte Glass; Swedish 20th-Century Glass; Finnish Glass Art - From Simple Elegance to Versatility; Glass Art in Austria - An Overview of the Evolution after 1945; The Art of Glass During the First Half of the 20th Century; Contemporary Glass Art; Glass Technolgoy. This book is really a collector’s dream, for it contains detailed descriptions of all the pieces it presents. Illustrations: 168 Color Illustrations. 131 B&W Illustrations. This incredible volume illustrates the reasons why Swedish Glass, synonymous with excellence in design and craftmanship has become the most highly acclaimed product of the Swedish Applied Arts industries. In a series of ten essays, this book examines the emergence of Swedish glass against an historical, socioeconomic, and art-historical background. The wide selection of works presented here also traces the developement of this glass during the interwar years. The famed “Paris Vase”, the whimsical “Spanish Lady, examples of domestic glassware, stemware, scent bottles, light fixtures, and other forms are all beautifully photographed here. Exquisite examples by Edward Hald, Simon Gate, Sten Branzell, Edvin Ollers, Gerda Strömberg, Vicke Lindstrand, Edwin Öhrström, Elis Bergh and many more. If you want lots of information and appreciate georgeous examples of glass art, this is the book for you! Illustrations: 2 Color Illustrations. 2672 B&W Illustrations. This is a very extensive production catalogue of the hundreds of pieces manufactured at Riihimäki OY. A complete Illustrated catalogue of crystal glass and etched glass pieces - decanters, bowls, stemware, glassware, vases, pitchers. The details of the pieces are reproduced clearly. On the title page is says Kuvasto (catalogue) A 1930. A remarkable international exhibition at the Glasmuseum devoted to the newly graduated, energetic, and experimenting glass artists. The fascinating combination of materials in these works is indicative of young artists.